Traveling for 2,193 days straight, we’ve gained a crazy volume of memories. 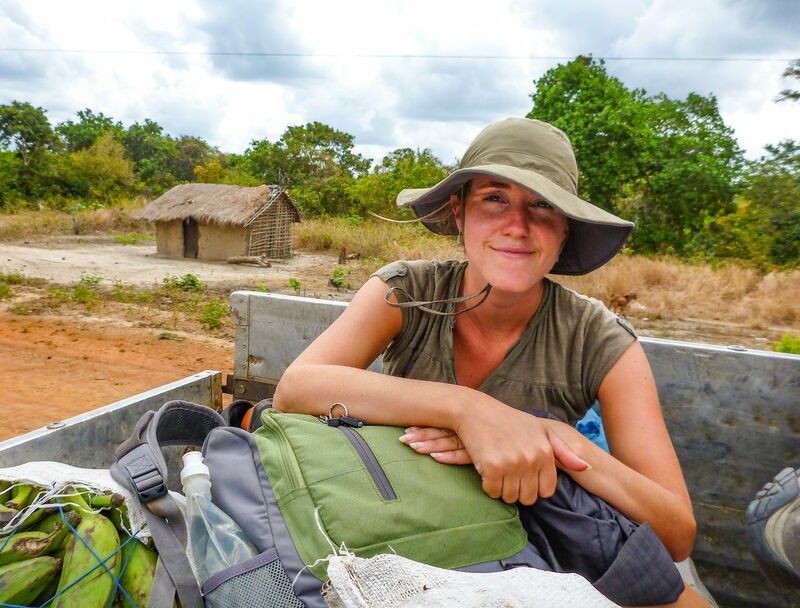 Since we left January 22nd, 2012, we’ve been chronicling our adventures across 53 countries and 500+ regions of the world on our blog HoneyTrek.com, and most recently in a book for Nat Geo. Ultimate Journeys for Two reveals our 75 favorite places across the seven continents and our most unforgettable moments. 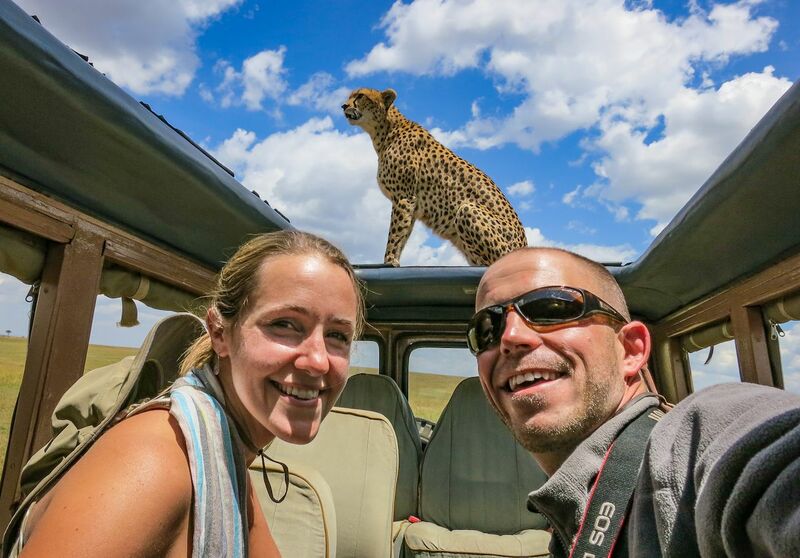 From the time a cheetah jumped on our car to hitchhiking on a Jordanian party bus, here are a few of the funniest, wildest, most romantic, and favorite memories from our six years honeymooning around the world. 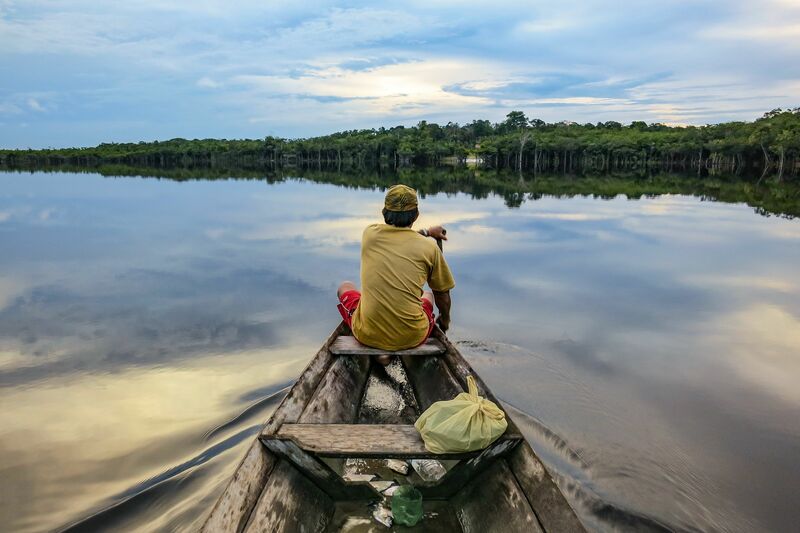 It was day four of our multi-year trip around the world, and we were in the middle of the Amazon jungle with a leaking canoe, two hammocks, a machete, and some fishing line. Our guide Cristóvão hopped in for a dip (in the same water where we just caught a dozen hungry piranha) and we thought, “Maybe we aren’t ready for this?” Cristóvão was born and raised in the Amazon and his actions seemed effortless — building a rain shelter from palm leaves, whittling a blowdart gun, foraging for fruits, and navigating the unknown. We had a lot to learn from him. In our five days together, he taught us to adapt to our environment, be resourceful, and be patient. At the time we thought he was teaching us how to survive in the jungle, but we later realized those lessons were preparing us for our journey around the world. We were marveling at a cheetah gracefully moving across the savanna. As she was scanning the horizon for a higher vantage point, she spotted our vehicle and beelined for us. Excitement quickly morphed into fear, especially when the cheetah leaped onto the rim of our open roof. Our hearts were lodged in our throats as she kneaded her paws on the hot metal. Not wanting to scare her (or make her slip), but needing to capture this unfathomable moment, I reached for my camera. Just after I started filming, as if on cue, the cat walked inches from Anne’s head, and sauntered down the hood. We took our first breath in what seemed like an eternity — thanking our lucky stars we didn’t turn into cat food and that we caught the whole thing on video! 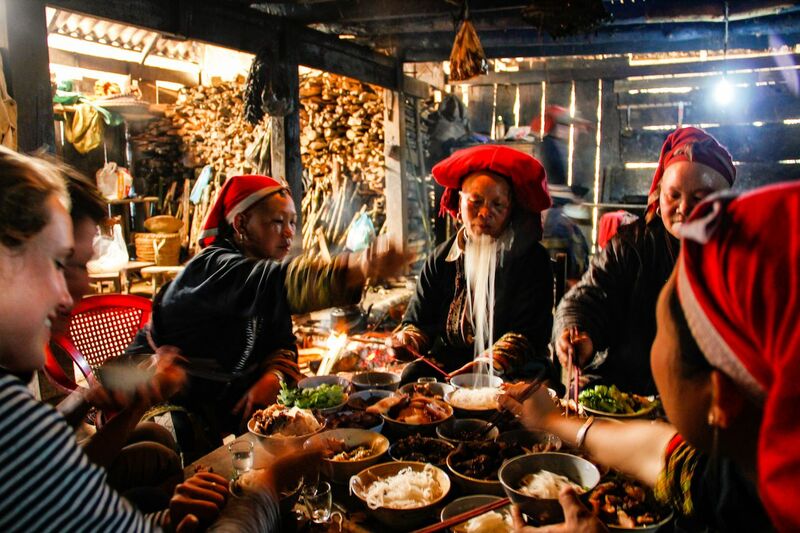 We were scouting a language program in the mountains around Sapa, Vietnam for the Muskoka Foundation, an organization that connects travelers with no-cost volunteer opportunities. We signed up as teachers for the week, and not just any week, but the days leading up to Tet New Year. The Red Dzao students were so grateful for the English lessons that they thanked us with multiple invitations to pre-Tet dinners and a very exclusive spirit-cleansing ceremony. Standing shoulder to shoulder with our students as the high priest threw smoking embers in the air and men danced in a hypnotic state, we ushered in the New Year as a Red Dzao family. In an attempt to get from Wadi Musa to Amman, Jordan, we hitched a ride on bus full of Jordanian women. We probably shouldn’t have even gotten on considering it was heading 130 miles in the wrong direction and we didn’t fully understand where they were going or when we would make it to our final destination, but we knew it was going to be an adventure. We hopped in and were greeted with smiles and offerings of zaatar-butter sandwiches. Then the music cranked up. “Annie! Mike! Come dance!” The bus was going 50 miles an hour on swervy roads, but they didn’t care. These seemingly conservative woman, cloaked in hijabs, were ready to cut loose and we weren’t about to hold them back. Chanting our names and spinning us round and round, we laughed until our cheeks hurt. But the party was just getting started. We reached the Wadi Rum desert as the sun was setting over the red mountains, and we couldn’t understand why they would want to see this legendary landscape in the dark. Then we saw the strobe lights bouncing off the dunes. Two dance floors were set up, one for men and another for women. Our new friends ordered three hookahs for our table, further extending the invitation into their world. 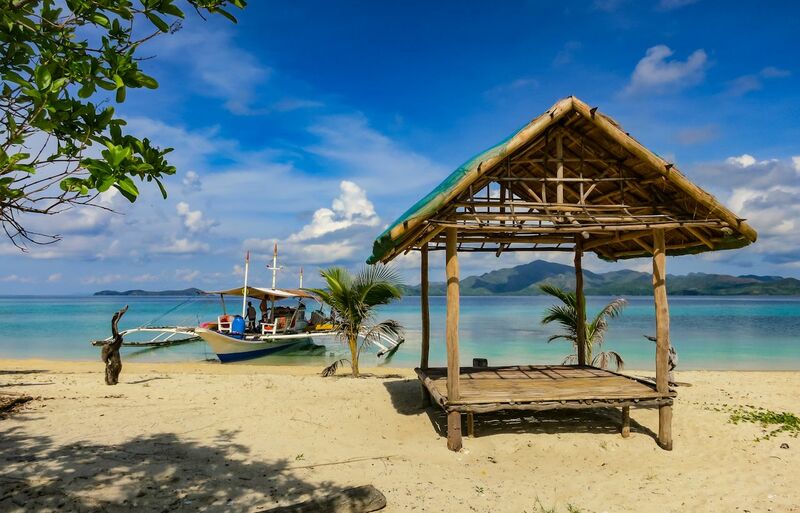 We flew to Busuanga to join Tao Philippines’ popular tour across Palawan’s archipelagos, but it was booked solid. Determined to make the five-day island-hop, we went to the docks and sweet-talked a bangka captain. With a kayak, snorkel gear, fishing line, and a bottle of rum, we charted our own waters, guided by little more than a gut feeling. Stopping whenever we saw a reef or a deserted isle that called our name, we explored at will and without limitations. 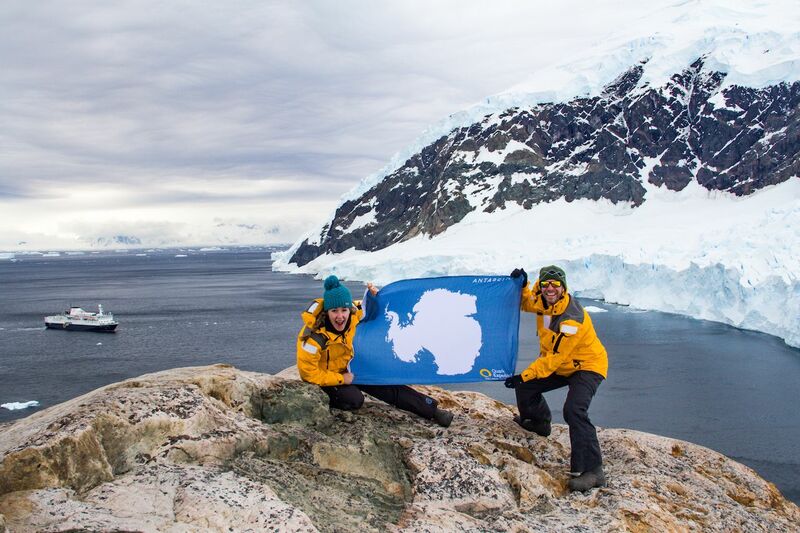 We swung our legs out of the Zodiac and set foot on the land that extends to the South Pole. We practically ran up the steep mountain, enjoying every slippery step and bits of hail that pelted our faces. We reached a rocky outcropping above the glacier-lined Neko Harbour, and it felt like the culminating moment of our four years of honeymooning. This called for champagne. We popped the cork, and the wind sent sparkling wine into the air and up our noses. Giggling from the tickly bubbles, utter joy, and complete awe, we drank in the milestone moment. “Follow me to your couples massage,” said the hostess of Verana, a glamping retreat above the beaches of Yelapa, Mexico. She showed us into the outdoor spa on the cliffs where more than a hundred candles were shimmering around a steaming bath, massage tables, and a flower-covered bed. Then she said, “It’s yours for the night, enjoy!” Giving each other massages, soaking in the aromatic tub, sipping tea, and counting shooting stars (we saw 14) had us swooning for days. Google Maps said the coastal route from Ibo Island, Mozambique to Zanzibar was nonexistent. But it was less than 500 miles straight up the coast — how hard could that be? So, we set sail in a dhow boat, hitchhiked on top of a banana truck, slept in a mud hut, waded through a river, rode in a gin-smuggling pickup, and after 14 legs of transit and four days on the road, we made it. It was far from easy, but an unforgettable journey and one that showed us there is always a way. On a 400-mile loop through the mountains, rice paddies, and villages from Chiang Mai to Pai, Thailand, we opted for a shortcut over jungle-covered mountain. We were bobbing, wobbling, and slipping all over the place, and just as we were nearing the top of a hill, smoke started billowing out of our bike engine. There went the clutch. We were 200 miles from the bike shop, we didn’t have cell service, we hadn’t seen a house for miles, and it was getting dark. Trying not to have an emotional breakdown, we sat put and hoped somebody would eventually stop and help us. Enter our back roads guardian angel, Pepitome. He was clearly intoxicated and void of mechanical skills, but Pepitome was determined to help. 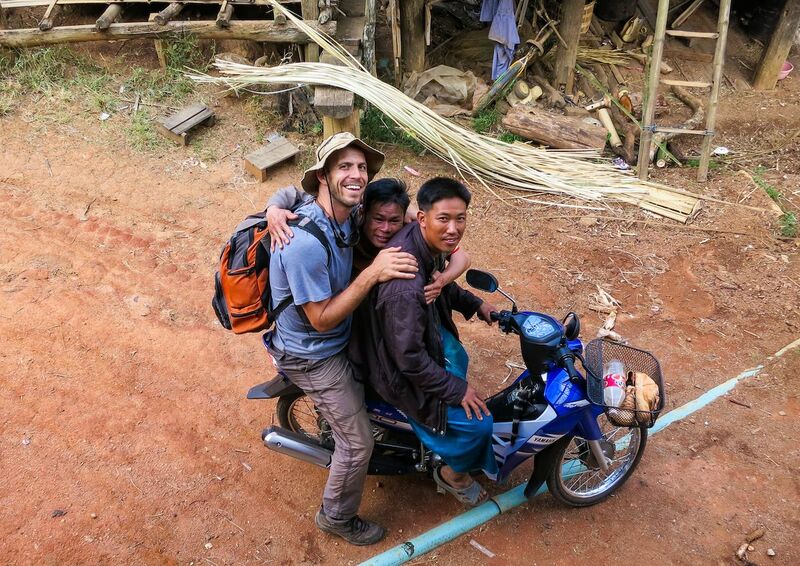 He flagged down the next driver and we all caravanned back to Pepitome’s house, where he insisted we stay until our bike was fixed. His family set us up with a bed, cooked us a bountiful dinner, and invited over half the neighborhood to greet us. We shared three more meals, helped with the family farm, practiced English with the kids, and enjoyed two days in a village we would have never found without a breakdown and the incredible kindness of strangers. 10. It’s not about the bucket list. On our way to one of the deepest canyons in the world, hugging the curves of the Andes and yielding to cows, a fiesta of elderly Peruvians appeared in the middle of the road. We crept forward, assuming they’d move to the side, but instead a woman wearing a traditional embroidered dress knocked on our window. “Come dance!” she said in Spanish with a smile. “You may not pass, until you dance!” Mike and I looked at each other, and then simultaneously swung open our doors. The partygoers cheered and the band of wooden instruments got louder. She took our hands and pulled us into a circle of twirling ladies. Around and around we went, with leg kicks and hip shakes, until the shot master appeared with an earthen jug. 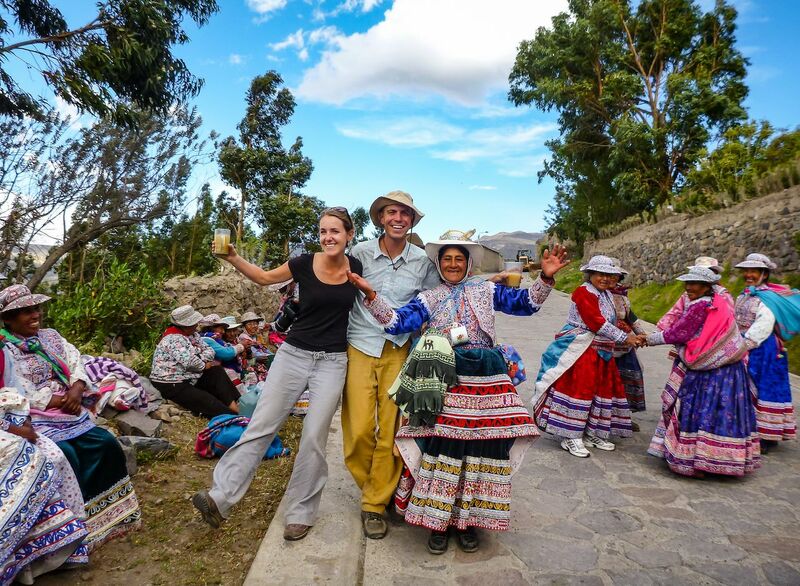 He poured us an overflowing chicha corn brew and we toasted with an exuberant, “Salud!” Arm in arm with our new friends, we danced until dark and happily never made it to the famed canyon. This article was originally published on HoneyTrek.com and is reposted here with permission.